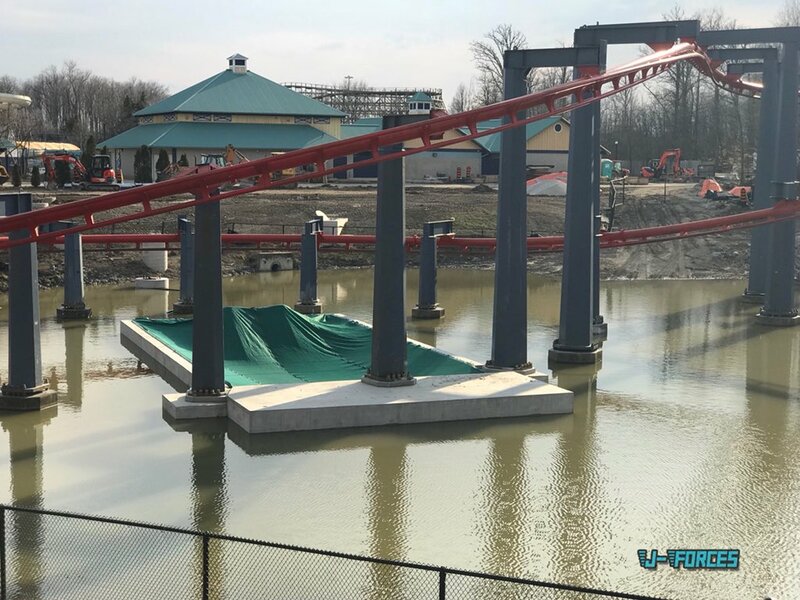 Canada's Wonderland 2019 - Yukon Striker: B&M Dive Coaster : Theme Park News & Construction! 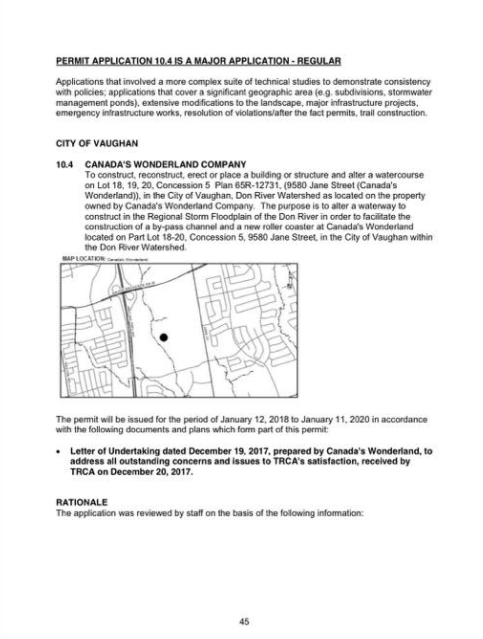 Canada's Wonderland have submitted permits for a new coaster in 2019. Can't wait to see what it ends up being! 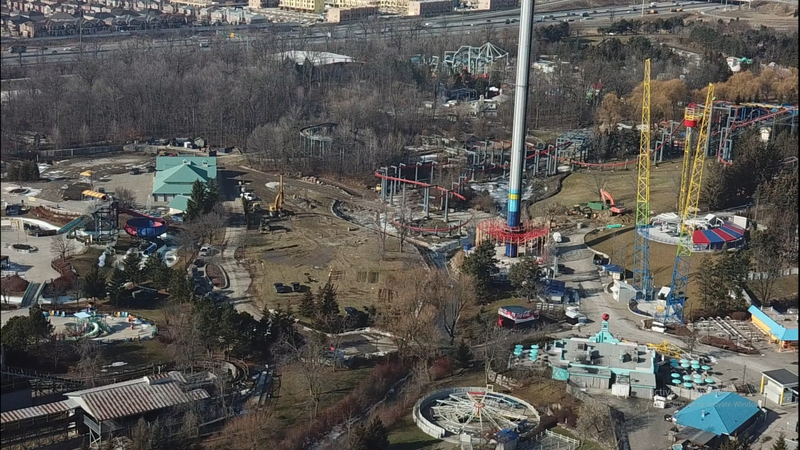 Oh, look whats just popped up behind the scenes at Canada's Wonderland. LOL i was looking at the vortex pieces confused as all hell until it zoomed in. Looks like Valravn colors. 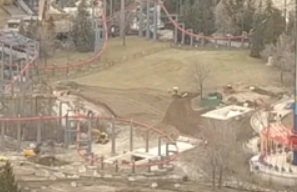 They removed the track pieces so they could get construction vehicles onto the site. 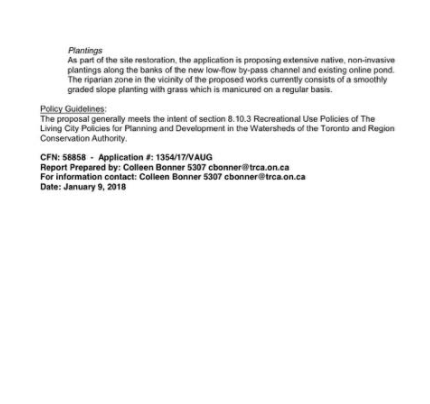 Thought this was a joke until I saw that drone video. I'm actually surprised track has appeared on-site as early as it has. 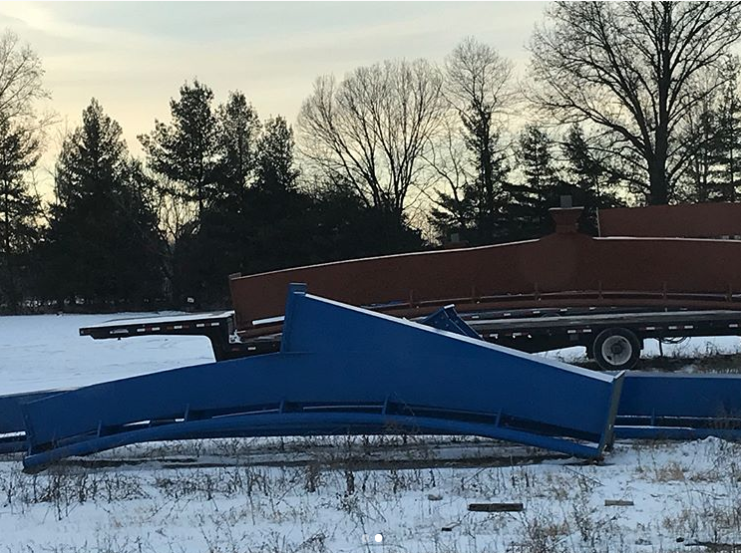 I hope someone checks out the B&M track manufacturing plant in Ohio. It'd be nice to see more pieces of this track there. 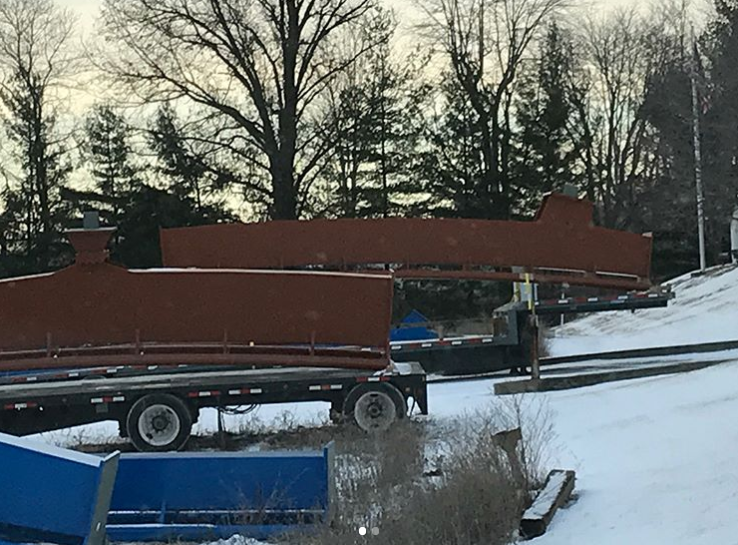 Is it just me or does that track look the *exact* same color as Valravn, minus the silver spine stripe? 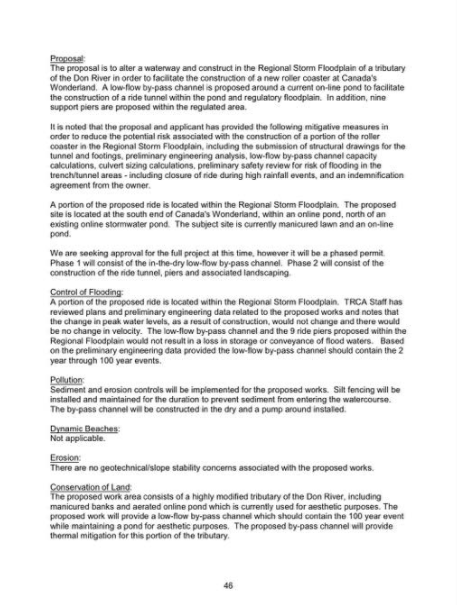 ^ Maybe CF is planning to go the six flags route and clone everything. Can someone explain to me why this is being referred to as 'ziz?' I'm out of the loop here. More track has been made and shipped to Canada! The blue track is for Fenix. 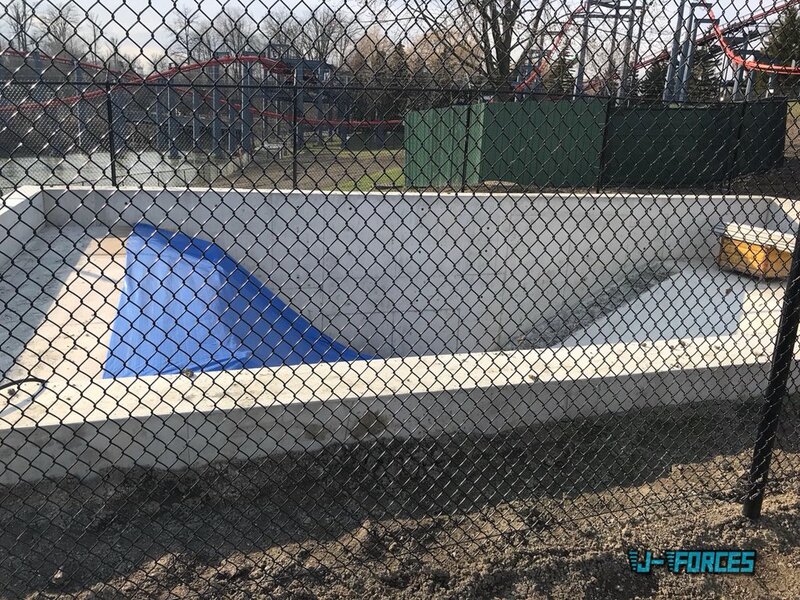 Tunnel is finished and Vortex is back together again! Any predictions on how wide the trains will be based on the tunnel width? Canada's Wonderland is in desperate need of a good coaster. It's too bad that they settled for another slow B&M. It'll be good for getting people into the park. Dive coasters seem to do a really good job of making a spectacle. I don't understand the hate for dive coasters. They're really fun and they're great crowd pleasers. They don't need to make you grey out to be good and fun! 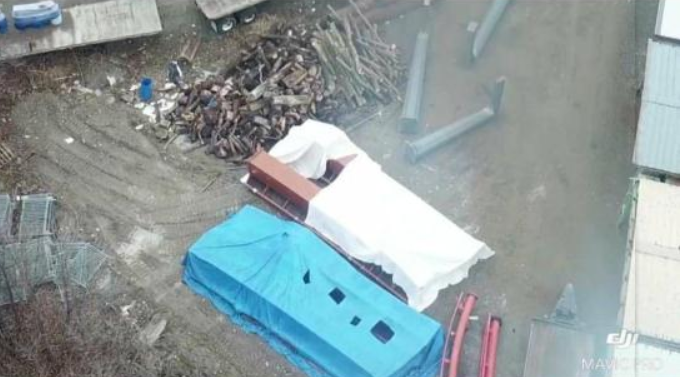 What's even more interesting is that this is rumoured to be not just any old dive coaster, but a Giga dive coaster. What is up the sleeves of Canada's Wonderland? Canada's Wonderland Testing VR on Thunder Run!